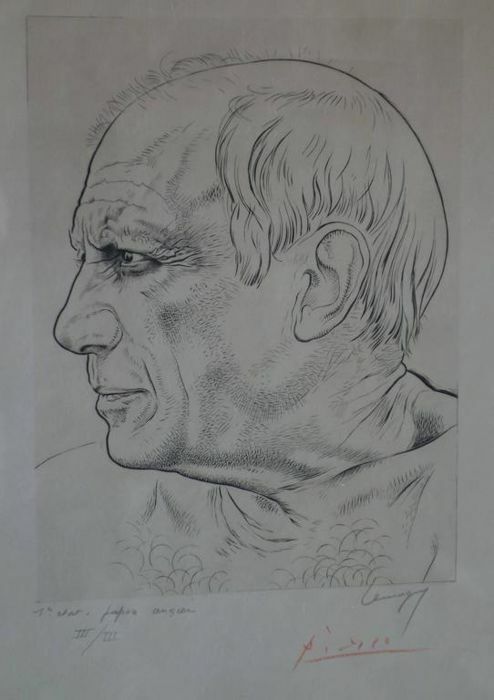 INFORMATION: This etching was created for the frontispiece of the portfolio Témoignages (text by Jean Cocteau) in 1956. 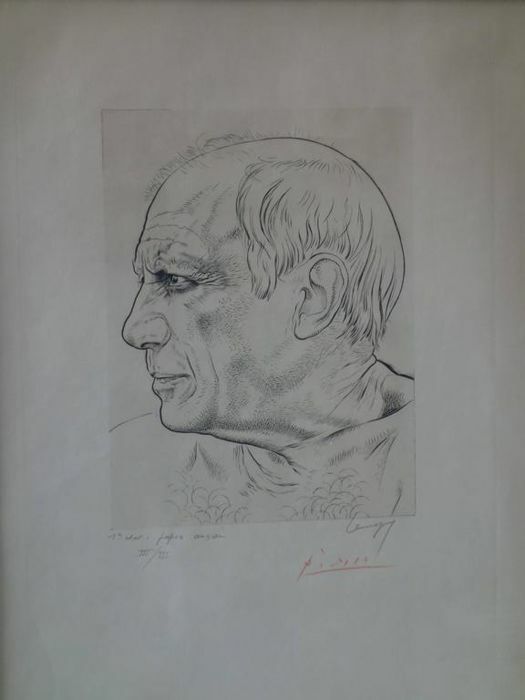 In the final state (limited to 50 copies) of the etching, Picasso engraved a remark in the bottom part. 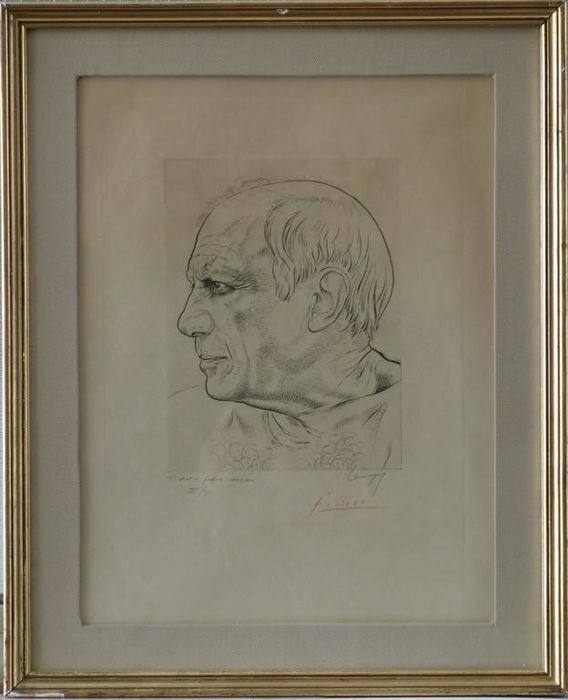 Here it's one of the only 3 copies of the first state (before the remark) with a superb portrait of Picasso, hand signed by him !